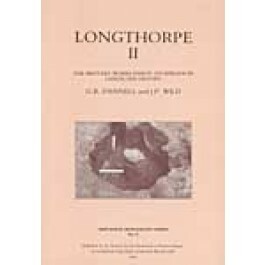 This volume describes the pottery-making depot attached to the pre-Flavian vexillation fortress of Longthorpe near Peterborough and and throws light on the problems of supply of the Roman army during the conquest campaigns. It contains a detailed report on excavations at a group of sites lying east and south-east of the Roman fortress of Longthorpe, Cambridgeshire. A second section reports on the finds from the excavations.